Curious about the defining moment of my Grandad’s First World War experience, it was about ten years ago that we went to the Somme. We stood at the Ulster Tower and gazed down at Thiepval Wood and over the Ancre valley, trying to imagine what it was like for him on 1st July 1916. He had joined the 9th Royal Irish Fusiliers and was in the 108th Infantry Brigade Machine Gun Company, part of the 36th ‘Ulster’ Division of the British Army. At 730am on a sunny morning, the whistles blew and great waves of men went forward. 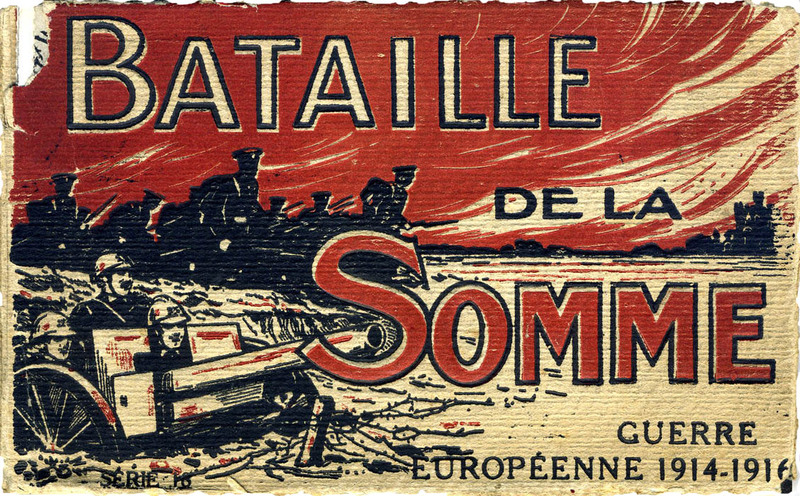 One and a half million shells had softened up the German defences and the soldiers were instructed to walk slowly forward. We all know what happened next. There were 57,470 casualties. The bloodiest day. In the midst of it all, in the attack on the village of Hamel, he was wounded and shipped back to Blighty. Here he was coaxed back to health by Christine Lilian Bloomfield, a nurse from Hove. She was the woman who became my Grandmother and is where we get our long legs from. Looking at all the headstones in the valley made me realise that it was really just the flimsiest piece of chance that allowed him to survive and subsequent generations including myself to follow. I worked out that there are seventeen of us who owe our existence to him making it through that day. The toss of a coin landed on the other side for twenty year old George Edward Hope from Summerstown. No future generations for him. George was born in Battersea in 1893, the son of a railway worker. He joined the Royal Field Artillery in 1909 in Chichester. He gave his age as 18 but census records suggest he was two years younger. His short service record contains a half page of scribbled notes which give the impression that the teenage tommy was a less-than-perfect soldier. Lines written in red ink indicate two convictions for desertion at Coventry and Deepcut. A stern note dictates that ‘all former service is forfeited on conviction of desertion’. When George was finally discharged for misconduct on 18th July 1911, his record states that despite a two year army career, his total service amounted to 46 days. It wouldn’t have looked good on his CV. The census of that year showed he was living with his parents and sister Louise at 20 Summerstown, the family having previously resided at No35. He was working as a labourer but it is indicated on the form that he was a discharged soldier. Yet another serviceman from this extraordinary thoroughfare whose present pitiful countenance is so hard to reconcile with the vibrant and bustling central artery of Summerstown that it must have been one hundred years ago. The above photo shows the road after the Wandle floods of June 1914. George’s home would have been somewhere on the extreme right of the picture. Only five doors down from The Corner Pin, on the dog-track side of the road, next door to John Barbary and not far from William Baker’s house. Just across the road lived Thomas Milton and William Nicholls. Despite his bad-boy reputation the army was never going to turn away George Hope in 1915. Its unclear when he joined the 2nd battalion of the Middlesex Regiment, but come 1st July 1916, they were part of the Eighth Division, destined to attack German defences at Ovillers-la-Boiselle from an area known as Mash Valley. 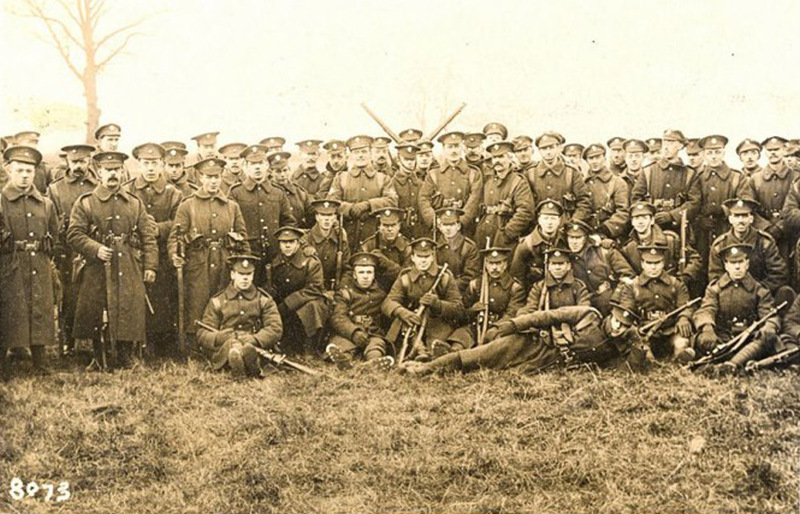 The photo on the above postcard shows a pensive group of men from 2nd Middlesex, apparently taken on 1st July 1916. They are in their overcoats suggesting that it was early morning. Very close by, minutes before the attack at ‘Zero Hour’ 730am, 90,000 pounds of explosives laid beneath the German lines were detonated creating the massive Lochnagar Crater. The sound of the explosion was heard and felt in London. As the Middlesex and Devonshire soldiers made their way across 750 yards of no-man’s land, German machine-gun fire swept across them from three sides, cutting them down. The 2nd Battalion of the Middlesex Regiment suffered over 600 casualties and by the end of the day, all but 50 of them were killed, wounded or missing. Their Commanding Officer, Lieutenant-Colonel Edwin Sandys had expressed serious doubts about the wisdom of the attack. The subsequent carnage so distressed him, that a few months later he shot himself in the Cavendish Hotel. He is buried in Brompton Cemetery. The National Army Museum has the service tunic of another Middlesex officer, a Captain George Johnson. The missing right arm of this grim relic demonstates how the medics tore away his uniform to treat his wounds. They did a good job because he lived on until his nineties. The immense Thiepval Memorial to the Missing commemorates the names of 72,000 men who died on the Somme and have no known grave, George Hope was one of them and there are eleven other Summerstown182 men alongside him. The next-of-kin of any soldier killed in the First World War received a bronze Memorial Plaque or ‘dead man’s penny’. 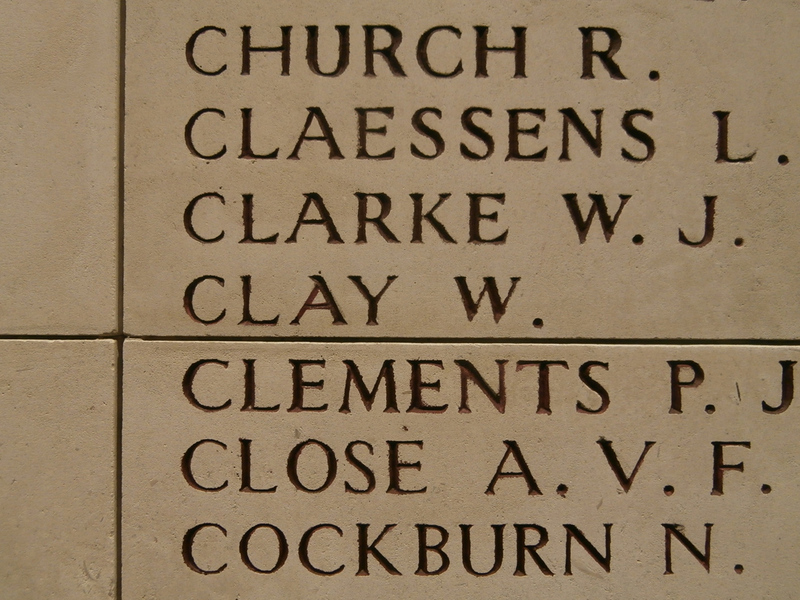 A few weeks ago on Remembrance Sunday I was shown Willlam Clay’s. 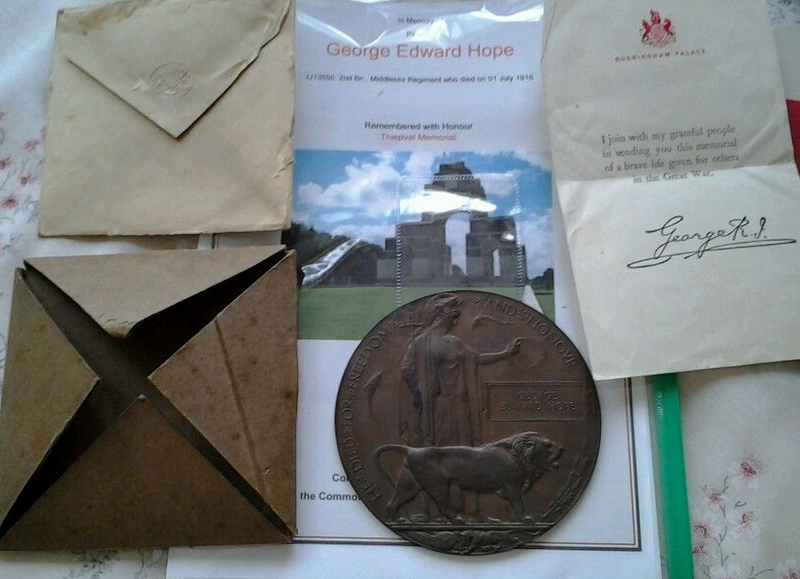 Not long ago we noticed that George Hope’s Plaque was on sale on e-Bay, in its original cardboard envelope with the King’s letter. ‘I join with my grateful people in sending you this memorial of a brave life given for others in the Great War’. Apparently uncleaned and interfered with, sadly it appears to have passed from his family. Whilst there were seventeen of us to preserve my Grandfather’s memory and pass down his stories there was unfortunately no one following George Edward Hope. It has been a spectacular week of Summerstown182 activity. 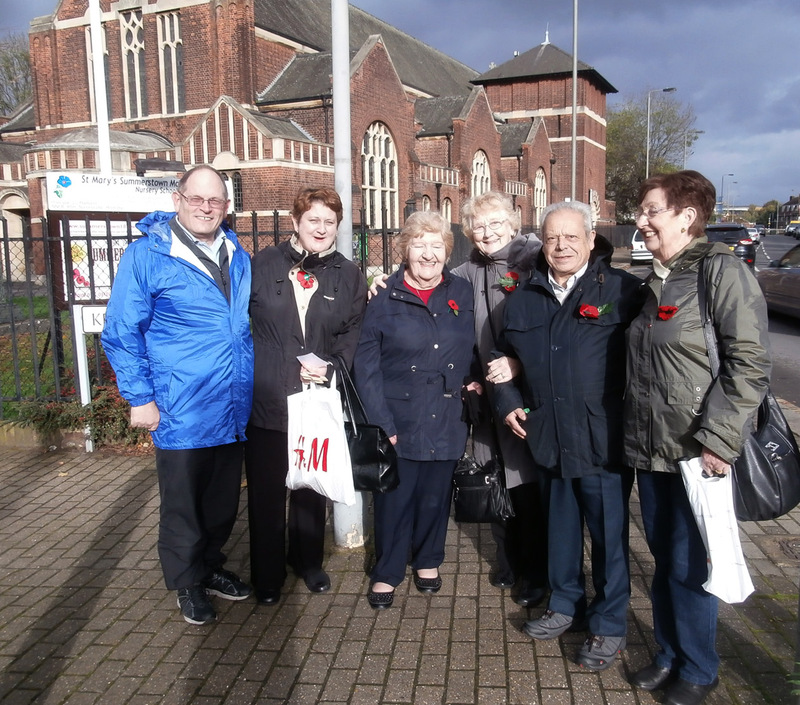 Saturday’s Remembrance Walk was attended by six members of the family of Albert and William Dell and relatives of William Mace, Thomas Milton and William Clay. With the light fading, and in our haste to get to the Dell homestead, we left poor Iris behind in the Corner Pin toilet. Thankfully Christine had her wits about her and performed a heroic rescue mission. As we gathered outside the Dell home at 35 Pevensey Road, the front gate suddenly opened of its own accord. Admittedly there followed a fearsome rainstorm and we found shelter under Hayesend House and thought of George Nathaniel Daniel and Horatio Nelson Smith. The following day saw an extraordinary Remembrance Sunday service. The superbly-drilled Tooting Sea Scouts set the tone. The restored Sunday School Three tablet dazzled in the Autumn sunshine. Iris Clay stepped forward to place a wreath in memory of her grandfather William and at last, the framed family tribute which she left here some fifteen years ago. Born at 138 Smallwood Road, she was back in her Summerstown homeland with about 15 members of her family. What an occasion. The service climaxed with Reverend Roger Ryan and myself reading out the full 182 names to a packed church. What a privilege! 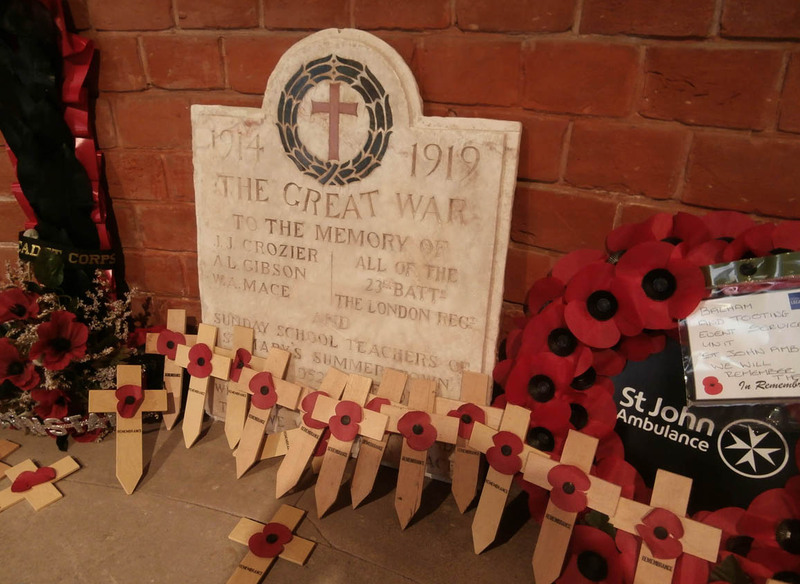 It took us about eight minutes to get through them all and I tried hard to savour every spine-tingling moment as the names of these local men rang around the church for possibly the first time in over ninety years. Then on Tuesday night we were invited to give a talk by the Tooting History Group. It was a wonderful opportunity to spread the word to an enthusiastic audience but also a chance to have a look at 23 Rookstone Road. This was one of the abodes of David Baldwin, who along with seven other members of the Summerstown182 was a soldier in the King’s Royal Rifle Corps. It is a relatively new house and I suspect the address may well have had a visit from the Luftwaffe. David was killed on 9th April 1916 and is buried in the intruigingly named Cabaret-Rouge British Cemetery in Souchez, south of Bethune. The cemetery was named after a red brick cafe which stood on the Arras-Bethune road and gave its name to this much fought-over section. 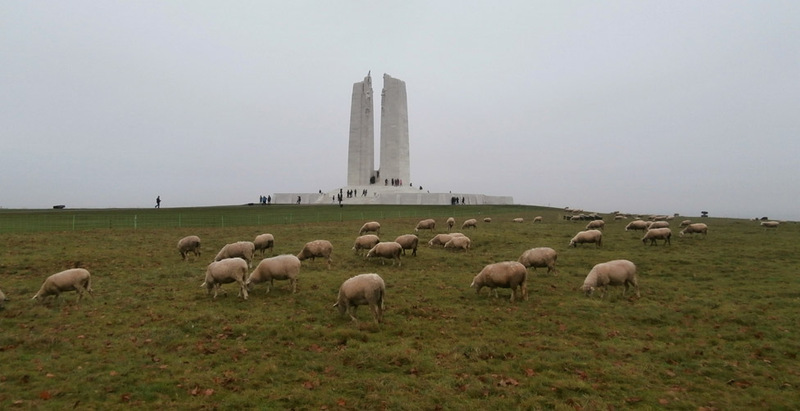 A year after David’s death the Canadians captured nearby Vimy Ridge. Many Canadian soldiers who lost their lives in the heroic struggle to take that piece of strategic high ground, now the site of the Canadian National War Memorial, are buried in Cabaret-Rouge. We visited the stunning memorial which stands on the ridge looking down the hill. It was an overcast and atmospheric morning with the Canadian flag at half-mast as a tribute to the guardsman killed in the attack on the Canadian Parliament a few days before. Looking down across the plain, its easy to imagine a great advance of Canadian infantry moving towards the German line. But it was an advance which in three days would account for 10,000 casualties. David’s death is noted in the parish magazine ‘We regret to hear that David Baldwin, King’s Royal Rifles was killed on April 9th. He leaves a widow and four little children’. David Baldwin was born in Tooting in 1887. In the 1901 census his family were living in Cavendish Road, Balham. David was the oldest of five children and although just 14, was already working as a labourer. By 1911 he was married and living with his wife Lilian at 41 Trinity Road. His profession was now a milk carrier. An army record of 1915 sees him at 23 Rookstone Road and lists the names of the four little children; David, Florence, Lilian and Margaret. Two very interesting documents have been found relating to David Baldwin. A note from his wife dated April 17th seeking official confirmation of his death. ‘Having received the news of my husband’s death on April 8th 9th from his chum and also from his Company Sergeant Stanford and Pioneer Sergeant Presslie I am now writing to you to ask if you could give me any information’. She was writing from 15 Smallwood Road and would have to wait another nine years to hear anything else. Another document, a communication from the War Office, written to a Mrs L A Hoone in Loughborough dated April 1925, reveals that David Baldwin’s body was exhumed and an identity tag found. In the years after the war many other smaller cemeteries were relocated to Cabaret-Rouge and for much longer it remained an ‘open cemetery’ where the remains of fallen servicemen whose bodies were newly discovered in the area were received. It is very likely that David Baldwin was such a case. Lilian had remarried to Percy Draper Hoone in Wandsworth in 1918 and they lived at 52 Smallwood Road, before moving to Derbyshire in 1923. The letter goes on to say ‘I am instructed to ask you if you wish the disc to be fowarded on to you or shall it be destroyed. A stamped addressed envelope is enclosed for your reply’. The reply dated May 9th 1925 is very moving ‘Dear Sir, I shall be grateful if you will forward the disc of my late husband to me as I have never received any of his belongings, also could you tell me if I can obtain a photo of the new grave. I remain yours truly, L A Hoone’. Lilian died in Loughborough in 1950 and who can say if she ever received a photo of David’s grave. On the recent trip to France we passed close to Souchez on our way back from Arras to Calais. We missed the chance on that occasion to get Lilian a photo but we’ll be back to Cabaret-Rouge to sort her out before long. That’s a promise. 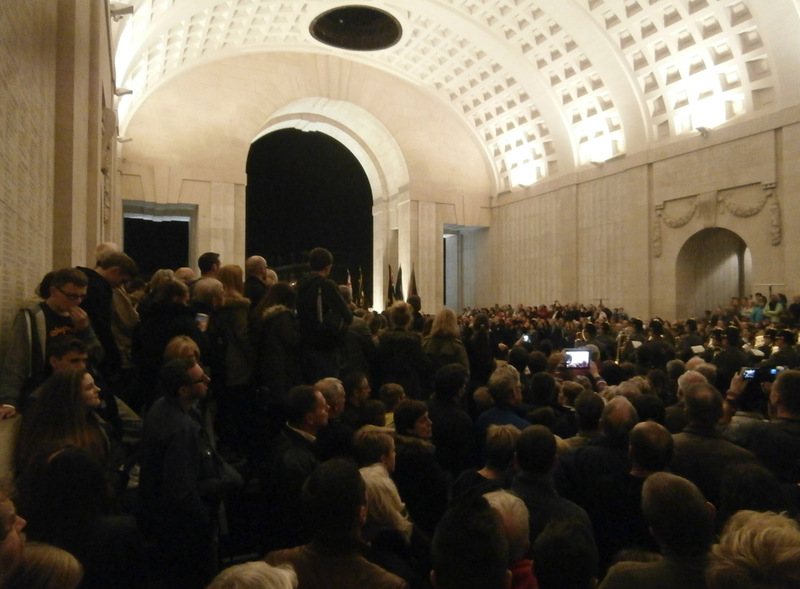 A highlight of our recent grave-seeking visit to Belgium was a trip to Ypres and the regular nightly Menin Gate ‘Last Post’ Ceremony. We had planned to get to the memorial in plenty of time to seek out the names of nine of the Summerstown182 but somehow we got distracted. The crowds were so thick, the atmosphere crackling with anticipation, we got talking to some people from Walsall, then we got hungry and became waylaid in The Captain Cook. We found William Clay all right and are very pleased that his granddaughter Iris and other members of the Clay family will be joining us this weekend for the Remembrance Sunday service at St Mary’s. But we never got round to locating the name of James Noakes from 605 Garratt Lane. That was a bit remiss because this was his time. The following evening the crowds were even more expansive and a massive security operation kicked in. The Kings and Queens of Belgium and Holland were in attendance and also Angela Merkel. It was the hundredth anniversary of the start of the first major battle of the First World War, what became known as ‘First Ypres’. Just a few days later on 31st October 1914, Private James William Noakes entered the country and not long after on 18th November he lost his life. His time in Flanders lasted just a little over two weeks, possibly the shortest active service of any of the Summerstown182. His regiment were the extremely grandly titled 4th Royal Irish Dragoon Guards and they have a distinguished history. This was a proper ‘War Horse’ cavalry regiment and they were involved in some of the earliest fighting of the war. One of their number, Corporal Thomas famously fired the first British shot of the war near Mons on 22nd August 1914 and Captain Hornby led the first charge ‘scattering the enemy and sabring several’. But they would suffer terribly in the ensuing fighting as both armies tried to outflank each other and seize the initiative at the heart of what was known as the Ypres Salient. James Noakes arrived as the Germans were launching a ferocious assault to capture the high ground at Polygon Wood and Messines Ridge. He was one of just over 58,000 British casualties in this period, caught up in the last line of defence of the beautiful medieval walled city of Ypres, which not for the first time would be practically razed to the ground. Two other members of the Summerstown182 also perished in the fighting around this time. 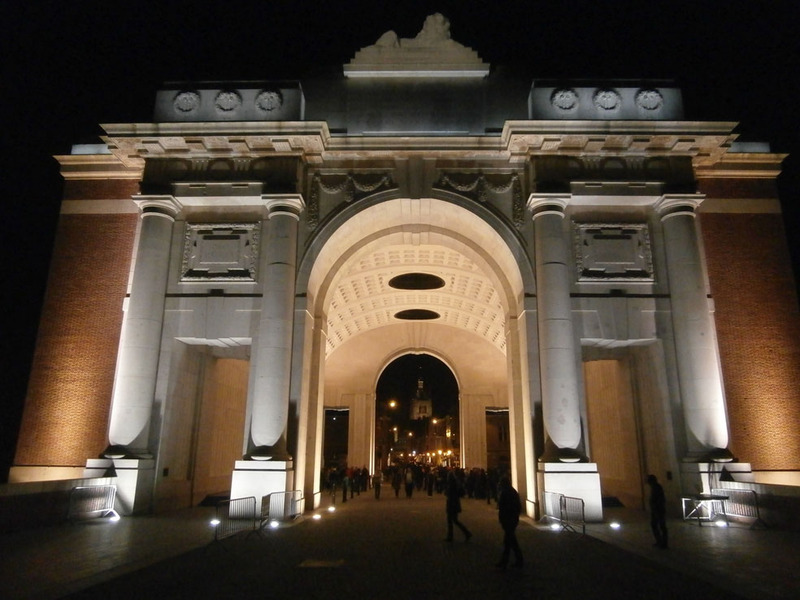 Frederick Barnes from Keble Street is buried at Poperinghe and Joseph Mitchell from Bendon Valley also has his name engraved on the Menin Gate. James was born in Kent in 1886. His parents, James Senior and Charlotte were in their forties and had married late. His father was a man of many professions; shoemaker, innkeeper, house painter and market gardener. By the time of the 1911 census, James Noakes was in the Dragoon Guards and ‘living with lots of soldiers’ at Preston Military Barracks, outside Brighton. His parents were resident in Herne Bay but at some stage shortly afterwards they moved to 605 Garratt Lane, five minutes walk from Earlsfield Station. Its possible they moved here to be near their other child, and grand daughter. Charlotte who was two years older than James had married a German pork butcher called Leonard Busch in 1905 and settled at Moffat Road, Tooting. Just a few weeks after his only son was killed, James Noakes Senior passed away aged 73. 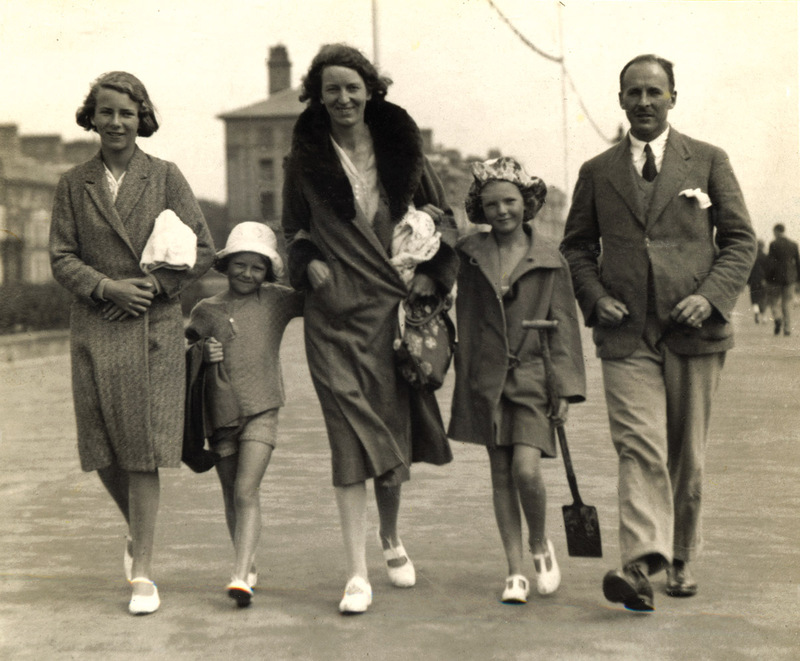 Records from 1918 indicate that both Charlottes lived together at 605 Garratt Lane but there was no sign of Leonard Busch who might possibly have been interned because of his nationality. In any case he rejoined the family at some point and lived on at the same address until 1962. Now this little stretch of Garratt Lane just a few doors down from the Party Shop is on the ‘up’. Smart little bars and eateries are popping up all around, which would surely have pleased James Noakes Senior who once ran the Alliance Inn hostelry in Peasmarsh. No605 has been empty for a while since an embroidery business there closed. 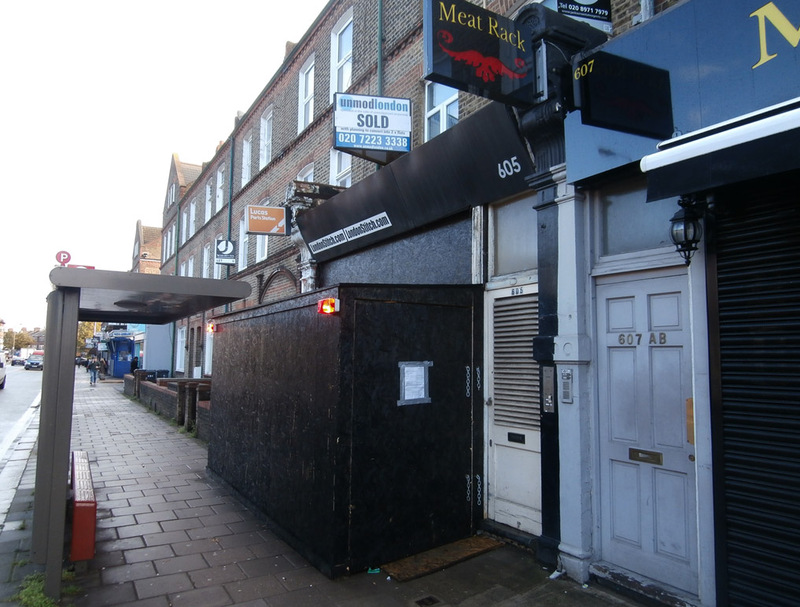 Its currently being developed and has a rather scarey extended black wooden temporary frontage with red flashing lights. Screw up your eyes a bit and use your imagination and it could be a bunker or some kind of military fortification. When I was taking a photo, the builders, one of whom was wearing a poppy, were curious to hear about its inhabitants of one hundred years ago.